The crop tool was used for layering the shots and creating an effect of two of the same person being in the room at once. We used the crop tool to achieve this effect. The pen tool was used to fade in and out as we had more control over it than the transition fade in/out. we also used it to fade in/out sound. 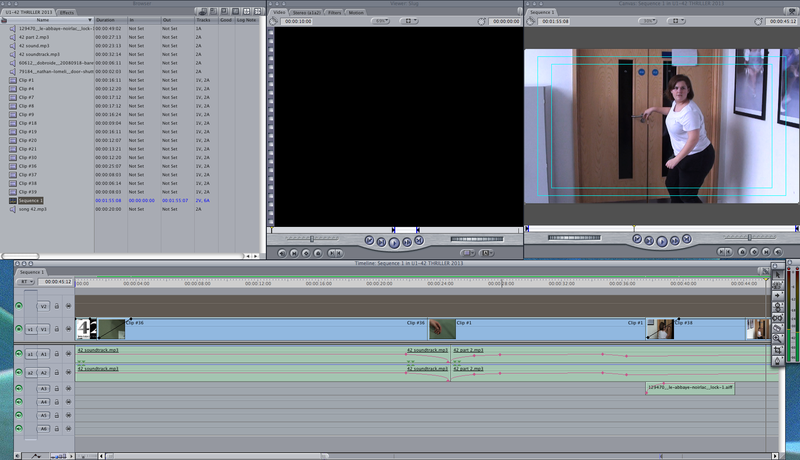 On the timeline we cut and edit clips together to achieve the sequence.